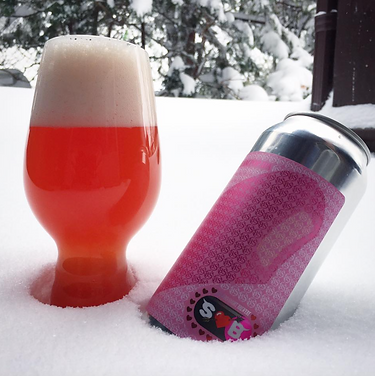 On tap at Plank Pizza, mild milk-sugared “Strawberry Vanilla Cream Pop” loads distinctive IPA-like grapefruit-orange peel bittering onto tart vanilla-pureed vanilla sweetness. Minor pine resin reinforces zesty citrus affirmation of Citra-Mosaic hopped full body. Fun hybrid!